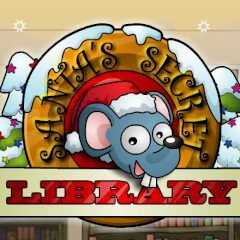 Reach Santa's library and check what he stores there. Maybe you can find something interesting there. Take control of a tiny mouse and collect sweets. Have you ever thought about where Santa stores all presents before the holidays? He has a perfect place to do that and it's his library. There he keeps all presents and sweets before the day X. But for one little mouse it turned out to be an adventure of its life. Lead it through levels and collect sweets.